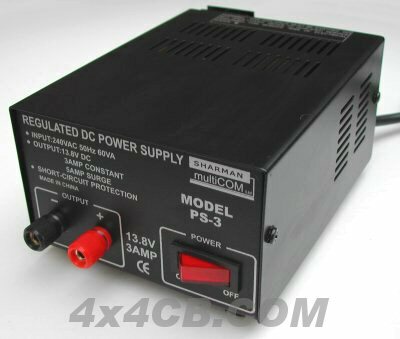 Good quality 3amp power supply for powering a vehicle CB at home. Gives regulated DC voltage with short circuit protection built-in. Built to the latest EC electrical safety standards for domestic consumer products, ready fitted with a BS standard plug. Small size, very quiet, binding post connectors.